As a part of my series about “Big Ideas That Might Change The World In The Next Few Years” I had the pleasure of interviewing Dr. Sina Habibi. Sina is CEO and co-founder at Cognetivity Neurosciences. 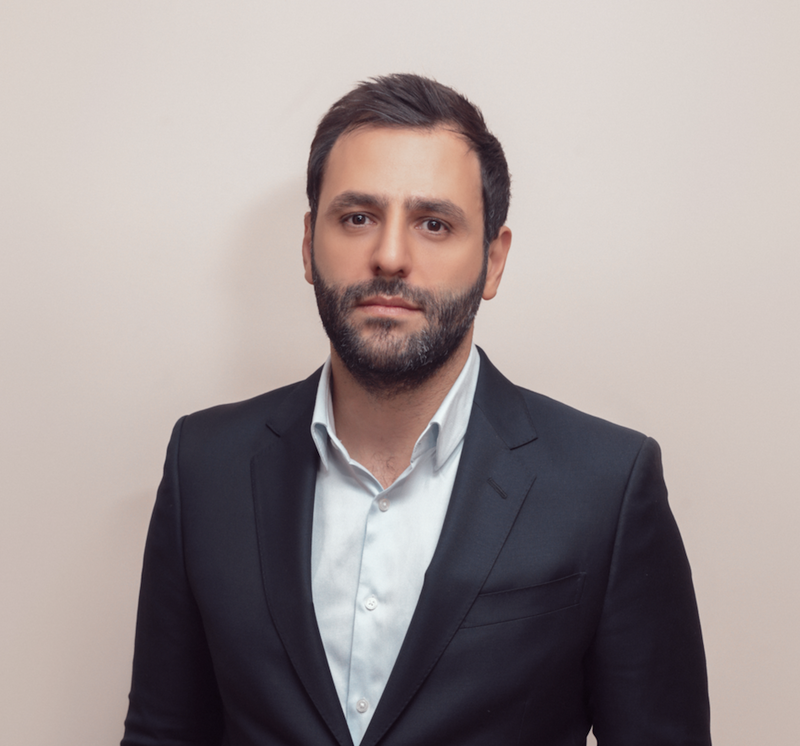 With a PhD in Engineering from Cambridge University, Sina has in-depth experience in research involving nano-technology and synthetic biology, product management, and technology consultancy. Towards the end of my PhD, I became frustrated with the pace of research in academia and found the world of venture creation a lot more inspiring. This observation and drive led me to join Cambridge University Entrepreneurs, a society dedicated to spinning out various ventures from the University. I was chairing the society by the end of my PhD when I met my co-founder, Dr. Seyed-Mahdi Khaligh-Razavi, and started working on Cognetivity. Soon after we conceptualized Cognetivity, there was a global startup competition in Cambridge. Over 150 companies had entered the competition, some of which already had a few million dollars funding. We only entered the competition in order to be able to attend the conference, but to our surprise, we won the competition and this provided our initial funding to start the company. 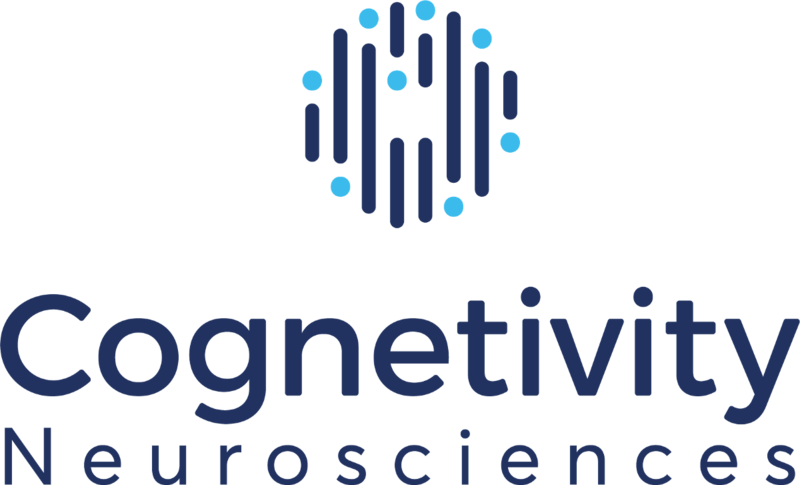 Cognetivity Neurosciences was founded in 2013 with a mission to redefine dementia detection. We have developed a sensitive diagnostic tool, which runs on Apple iOS devices. It consists of a five-minute test that uses visual stimuli and artificial intelligence to detect mental health disorders such as dementia, even at very early stages, without the need for a healthcare professional to be present. Our Integrated Cognitive Assessment (ICA) tool looks for the earliest signs of impairment by testing the performance of large areas of the brain. It can also be used for remote monitoring of the progression of diseases and for measuring the effectiveness of treatments. To provide some context on the scale of the problem of dementia, it’s going to affect 1 in 3 children born today, costs US$500 Billion globally annually and the cost of treatment is expected to reach $2 Trillion globally by 2030. According to estimates, early diagnosis of the disease has the potential to save US$118,000 per patient. We believe that the test we’ve developed is a completely novel platform. By combining visual stimulation techniques developed through cutting-edge neuro-scientific research and artificial intelligence, our ICA test measures something quite different to any other test and has the capability to measure cognitive function with a high level of sensitivity. The ICA is particularly suitable for testing large numbers of people, and unlike currently used tests, doesn’t suffer from learning, education, language and culture effects. Through enabling earlier detection, patient care can be significantly improved through treatment and lifestyle changes. Researchers can also be given the opportunity to develop new treatments, able to assess effects on patients at earlier stages of cognitive impairment. This represents a major unmet need in the fight against the biggest healthcare challenge of the 21st century. It is hard to imagine any possible drawbacks from developing such an intrinsically helpful tool. By allowing patients to track their cognitive health and receive an accurate diagnosis much earlier, they can effectively plan for their future and make well-informed lifestyle choices. After my grandmother was diagnosed with dementia, I did some research into the condition and soon found that there was an enormous global problem. Not only are the number of patients growing, half of those with dementia in the UK and US never receive a formal diagnosis. And those that are diagnosed often receive their diagnosis so late that their options for treatment and planning are limited. The dementia tests that are used at the moment are crude. In some cases, doctors don’t even use pen and paper tests to make referrals; instead relying on patients to determine if their memory is good enough. By the time the patient has problems remembering their children’s names, it’s almost certainly too late to undertake any meaningful intervention and the problem becomes extremely difficult for patients and expensive for healthcare systems. Ideally, Cognetivity’s ICA would be used in a similar way to how blood pressure tests are currently used to screen patients for issues such as cardiovascular problems. The ICA test could be taken as part of routine assessments that can be carried out easily and cheaply, and which provide clinicians with meaningful information that can be used to make a diagnosis and to refer to the appropriate specialist treatment. In the case of the ICA, the test could be taken when a patient belonging to an at-risk group (for example over the age of 65, or even earlier if we are to truly detect the earliest stages of the disease) visits the hospital for a general appointment. 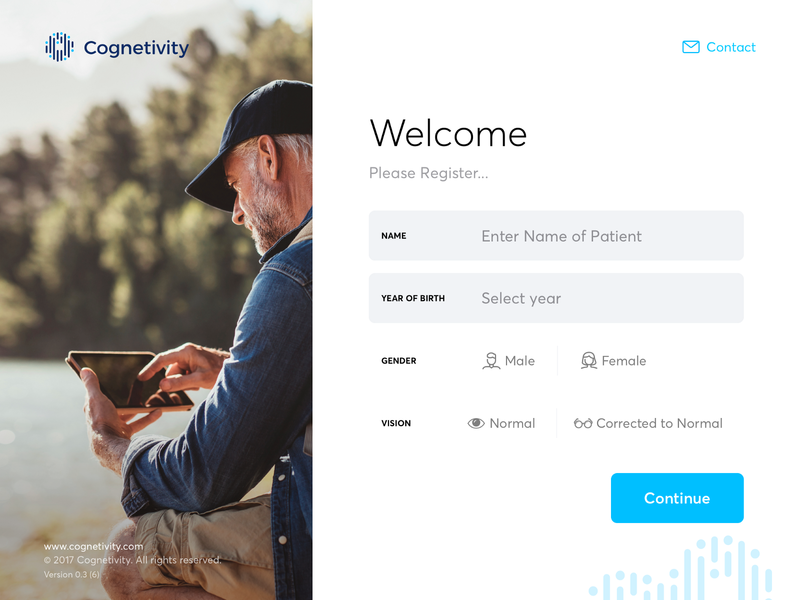 The test can be taken unsupervised while the patient waits for their appointment, the results can then be immediately uploaded to Cognetivity’s cloud-based servers where the AI engine analyses the results and transfers these directly to the patient’s records in the clinic’s computer system. The clinician can then make an assessment based on meaningful information about the patient’s cognitive state in the context of the other information they have. This would significantly improve the rates of early detection of dementia at the first point of contact with the health system for all patients. 1) It’s going to be a long process, so be patient. 2) Focus on the task at hand. 3) It’s probably going to cost you a lot more than you think. 4) Build a prototype before anything else. 5) Get your end users involved as soon as possible. Early disease detection. This area of research furthers our understanding of disease pathways and can lead to new treatments and ultimately to prevention. Technologies that I think will see continued growth over the next couple of years in healthcare are certainly AI, deep learning and data mining. The guiding principle of my career is to understand your customer’s needs from the start of your work. You should focus on their problem rather than trying to sell your solution. Doing so will allow you to frame your solution in the right context and level of understanding, allowing it to be as helpful and successful as possible. Don’t fear failure. Set yourself a goal and go for it. If you fail, try again. And each time you fail, you fail better, and you will ultimately find the path to success. Cognetivity is bringing AI to the global problem of early-stage dementia detection. Findings from the latest neuro-scientific research (conducted at Cambridge University) are being combined with proprietary artificial intelligence to detect signs of cognitive impairment — such as dementia and Alzheimer’s — 10–15 years before any signs would normally be visible. Just to reiterate how big a problem it is, dementia is going to affect 1 in 3 children born today, costs US$500 Billion globally every year and the cost of treatment is expected to reach $2 Trillion globally by 2030. Early diagnosis of dementia has the potential to save US$118,000 per patient. Our company is fortunate to have already been noticed by major scientific journals and as we continue to make strong industry partnerships, there is no better time to join us in our goal of redefining dementa detection. Please reach out if you would like to know any more about our technology.